Hiking to the Termessos ruins and saying goodbye to the amazing Coworking Camp Turkey. Then a long journey took us to the rainy city of Prague to explore the Christmas markets and the food scene. Welcome to our weekly recap! This one's for December 13th - 19h, which is week 50, 2014. 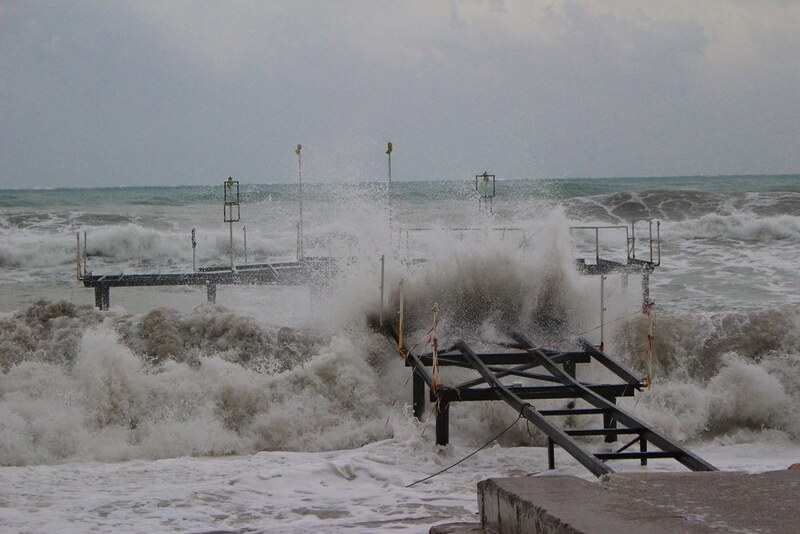 Surprise of the week: We got another stormy night this week, not so much thunder though, but the waves were impressive! We went to the beach to take some pics, and got some really good ones. I also got surprised by a wave, getting my trousers wet and giving my phone a quick bath (still works! phew!). 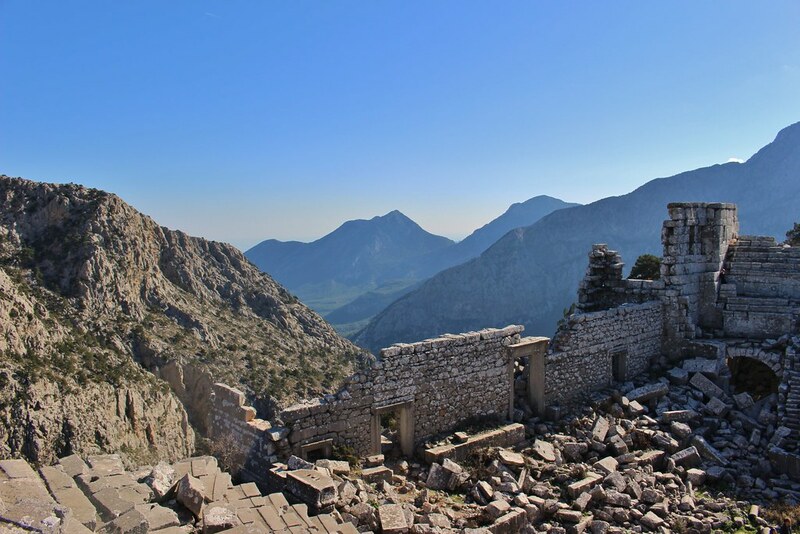 Tip of the week: Termessos is a great area for a day hike, with some impressive ruins and even more impressive views. Although close to Antalya, the ruins are at the mountains. Be prepared (= take enough clothes!) for it to be several degrees colder, especially when the sun starts going down. 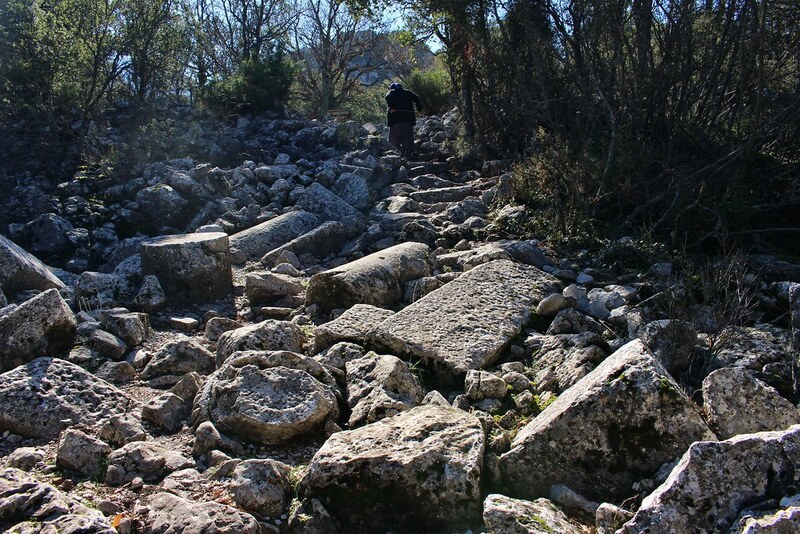 Random thought: The ruins at Termessos are about 20 mins hike uphill from the parking lot, and when there, a lot of walking up and down and over rocks and ruins is involved. We had come for a hike, dressed up for it. And then we came across this old grandma, footing it in her Sunday gear, walking stick in her hand, apparently having no problems climbing over the rocks. It's all about the attitude! 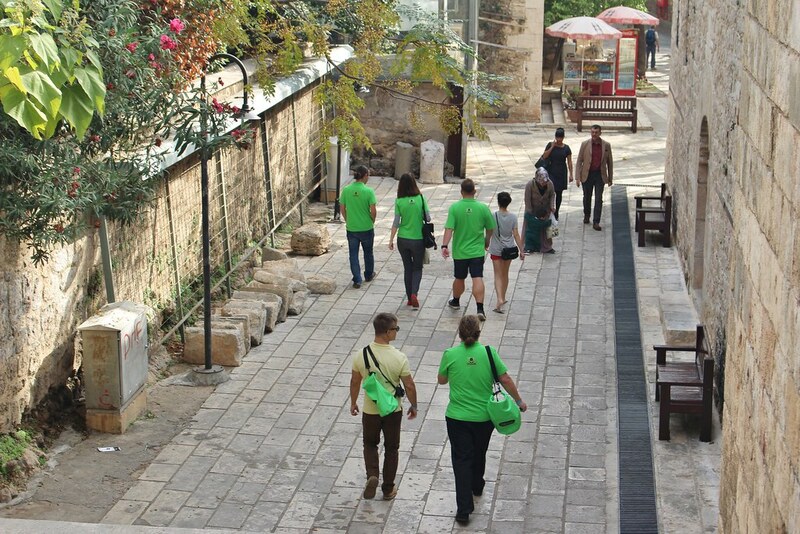 Workwise: Before starting the Coworking Camp, we were bit unsure if 6 weeks is going to be too long. What if we don't get along with the people? What if the food is horrible or the wi-fi bad? What if there is nothing to do around? No need for those worries, everything was even better than we hoped! Definitely one of the best things we've done during our time as digital nomads. We met so many cool people, had fun and learnt from them, visited so many interesting places and got a lot of work done. I really recommend this to all you (wannabe or current) digital nomads out there! I can't wait to attend another one. 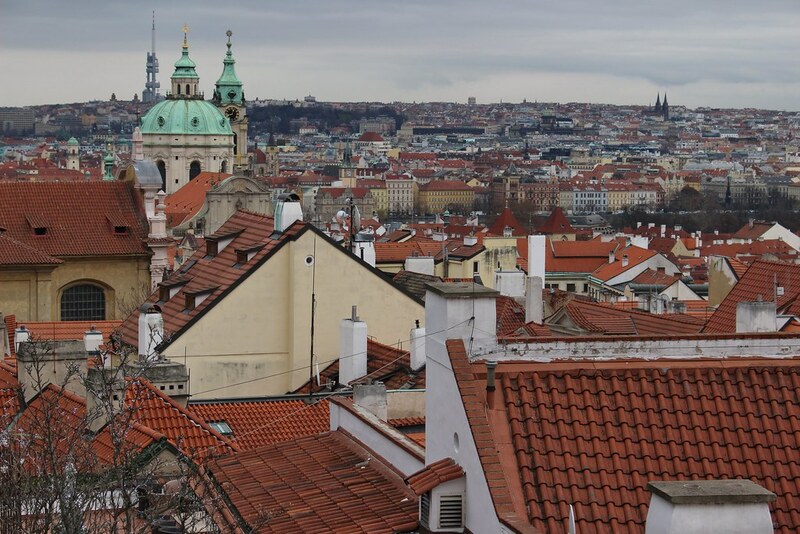 Food love: The weather was rainy and gray on our visit to Prague, so we concentrated on eating. After 6 weeks of the same buffet in Turkey, we were ready for a change. I scouted Foursquare for good options and we feasted on Vietnamese Pho soup, spicy Indian dishes, incredibly tasty Czech gulash, Korean lunch, and Mexican tacos al pastor (with ah-so-good tamarindo-chile-margarita). The breakfast at our hotel was also excellent (Hello bacon! Missed you!). 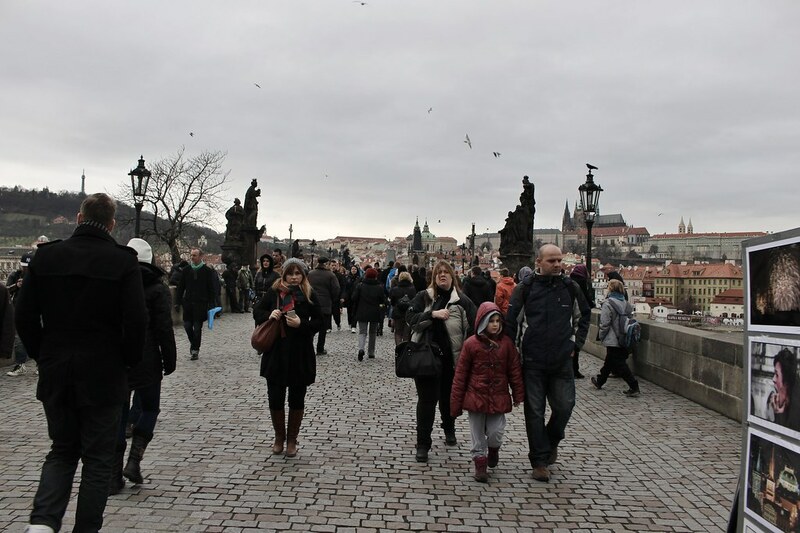 Memorable moment: Stepping on the Charles bridge, the gray sky over me, wind blowing and the black birds circling above. A rain started drizzling down, sending the street sellers to cover their merchandise and the people to quicken their steps. I stood mesmerized, taking in the scene and admiring the dark beauty of it. What I've learned: The Old Town Square in Prague has hosted markets since the 12th century (probably even much earlier). Nowadays the big things are the Christmas and Easter markets, both luring in hordes of locals and tourists. 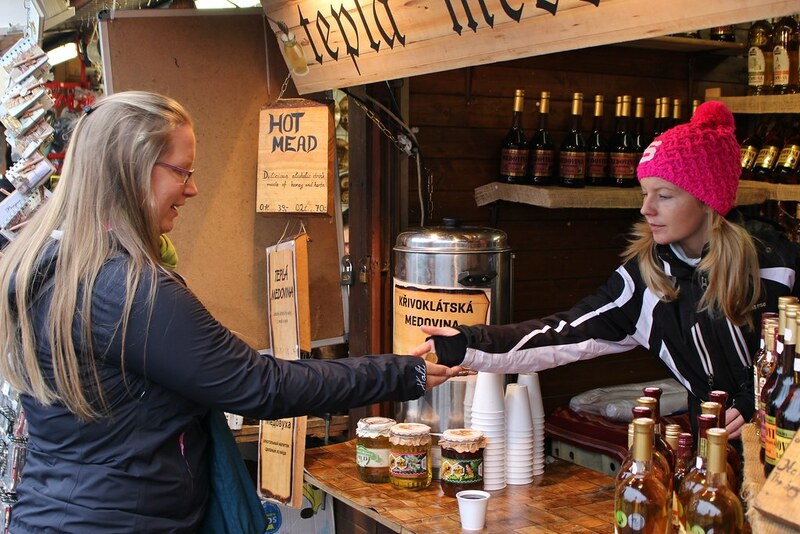 We gladly joined them and found not only some souvenirs, but also my new favorite drink: Medovina or hot mead. Sweet and steaming, made with honey and herbs, warming you up inside. Another treat were the sugary hollow rolls called Trdelni. They were sold at so many stands that we just had to try them. Verdict: delicious. Crispy outside, soft and chewy inside.